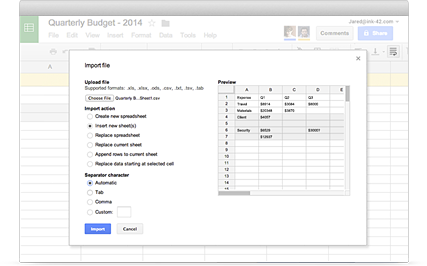 Create and simultaneously edit spreadsheets with your team, right in your browser. Handle task lists, create project plans, analyze data with charts and filters, and much more. Go Google With SimCloud Today! 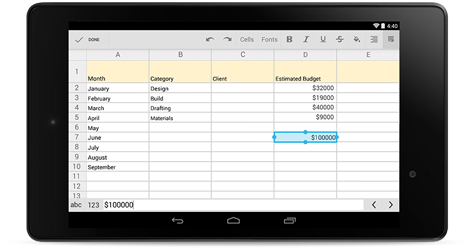 Perform calculations with powerful functions and formulas in spreadsheets. You can also add sophisticated charts, generate pivot table reports, add filters and more. 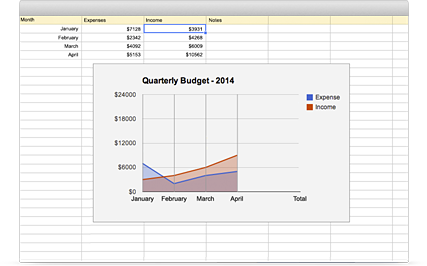 Import and convert existing spreadsheets to make them instantly editable, including Microsoft Excel® files. Export Sheets in .xlsx, .csv, .html, .ods, .pdf or .txt form. Create, edit and share spreadsheets from your phone or tablet, no matter where you happen to be. Work in Sheets even when you’re offline. Give individuals or groups permission to edit, view or add comments to spreadsheets. Work simultaneously and even see changes as people type. No files to send back and forth. Create and embed a survey on your website or send around a questionnaire at work. The results of your form flow straight into Google Sheets for review and analysis. Find tools created by third-party developers to add richer formatting, workflow rules, and more. You can even build your own custom add-ons for your domain. What formulas does Google Sheets support? Google Sheets supports cell formulas typically found in most desktop spreadsheet packages. These formulas can be used to create functions that manipulate data and calculate strings and numbers. Yes. Multiple keyboard shortcuts are available for Google Sheets, and are always switched on. They are likely similar to many of the shortcuts you have used before. Yes. You can convert many different file types into Google Sheets format. The original file will remain intact. Ready To Get Started With Google Apps?